We provide tower painting services nationally to keep your towers looking their best year-round. Do you have water towers that are faded due to sun and other weather elements? Do you have other landmarks that are looking worse for wear and could use some attention? Whether you are part of a small municipality or you are responsible for maintenance of water and radio towers in a larger city setting, knowing where you can turn for expert tower painting can alleviate some struggles when updating these functional landmarks. Water Tower Painting – Your city’s water towers can often be the first identifier for visitors to tell them where they are and display what your city has to offer. We provide water tower painting services nationally to keep your water towers looking their best year-round for residents and visitors alike. Choose colors that make your water towers stand out or display local spirit with unique colors that represent your city’s best features. Concrete Tower Painting – Concrete towers take experience and expertise to get them looking their best. When the paint has worn, chipped, or faded from exposure to the elements, it can be difficult finding someone who knows how to get these towers looking great again. We provide concrete tower painting services that you can rely on and help you keep your towers in their best shape. We can even help you create a unique backdrop against your concrete towers for a special addition to your city’s landscape. City Building Rooftops – For any city that has a unique history, displaying those qualities with pride is an important part of instilling local pride and attracting visitors. Your city’s rooftops can display important colors, invite guests to attend local events, and indicate which buildings carry significance. At Shane Davis Tower Painting, our team can help you determine what your needs are for painting your city rooftops and bring out the best results for your town. 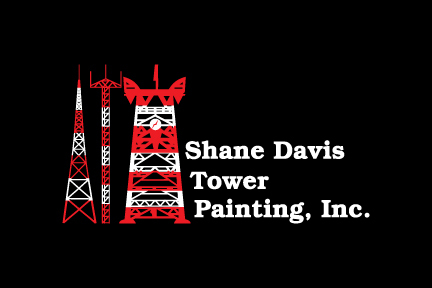 When you work with us at Shane Davis Tower Painting, you can expect our team to use provide quality workmanship that withstands the test of time, whether we are painting one tower or twenty. We’ll start with a complimentary consultation over the phone and free estimate, and then we’ll come to you wherever you are in the USA. We can ensure that we will provide a paint job with long-lasting results. Contact us today to learn more about our tower painting services. We look forward to working with you!